Viggo is completely transformed- hair, mannerisms, and speech! His acting is subtle, because that suits the role to a tee. 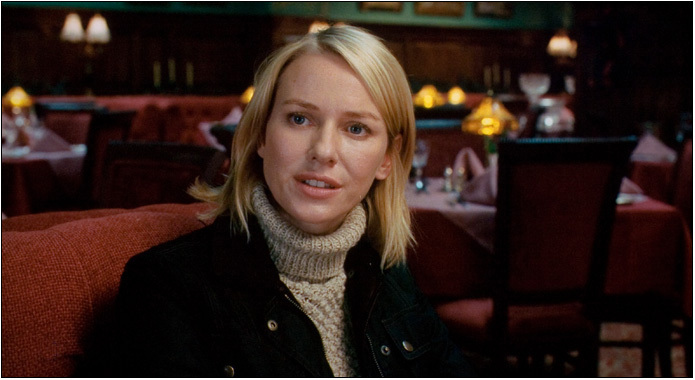 Naomi Watts (always looks good, even when wearing “ordinary” clothes) is the everyday midwife who gets pulled into the world of the Russian mafia. She is the sympathetic character the audience can relate to. Viggo is intrigued by her from the start, BUT they do NOT have a “typical” movie romance/relationship. The film also hits on serious stuff: slavery/prostitution (of underage girls who don’t know what they are getting into), drug abuse, alcoholism, thievery, retaliation- what a list! 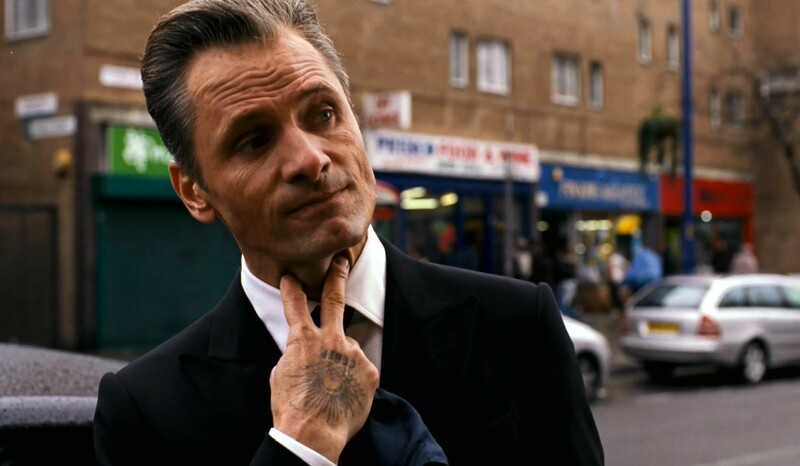 Eastern Promises is a bigger film than A History of Violence, because it has more scope. However, when you look a LITTLE deeper, you will find very interesting parallels. In AHOV, the main character (Tom/Joey) was fighting to protect his NEW family (wife, kids) from his OLD family (his big brother, Philly mob). In EP, Nikolai is fighting to protect a family (Anna, her mom, her uncle, and Tatiana’s baby) from his mafia family (Semyon, Kirill). Tom became a new person when he left Philly; Nikolai became a new person when he decided to immerse himself into the crime world, instead of just being a “driver.” Are these two guys “good” or “bad” or neither? Is violence sometimes needed? The sudden bursts of violence in the small town setting of AHOV are jarring, but in EP, violence is less weird (gritty ethnic enclave of London). The Russian mob boss looks like a pleasant old man (soft speech, big sweaters, cooking). The Irish mobsters in AHOV, on the other hand, looked and acted tough. What is more scary to you? Check out this movie, and discover the different layers!